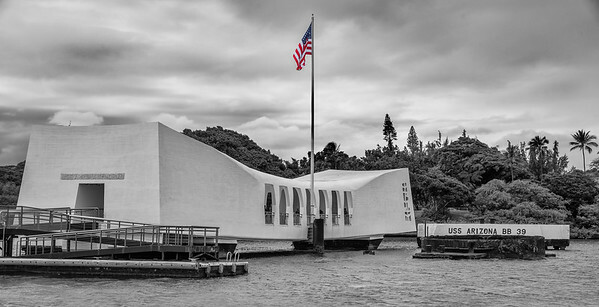 "Yesterday, December 7, 1941—a date which will live in infamy—the United States of America was suddenly and deliberately attacked by naval and air forces of the Empire of Japan." - Franklin D. Roosevelt Last year marked the 75th Anniversary of this attack. 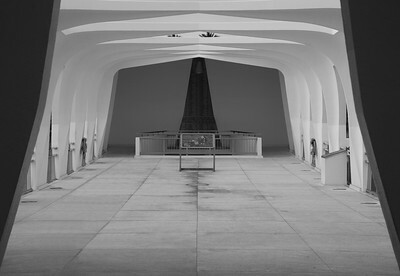 I am thankful to have gotten the chance to visit the Arizona Memorial. It was a surreal experience knowing that 1,102 brave sailors were still at rest below the Memorial. I will never forget it. U.S.S. 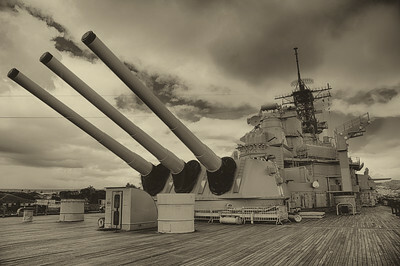 Missouri - AKA "Mighty Mo"
On the deck of the "Mighty Mo", a famous battleship that has been re-purposed into a museum. 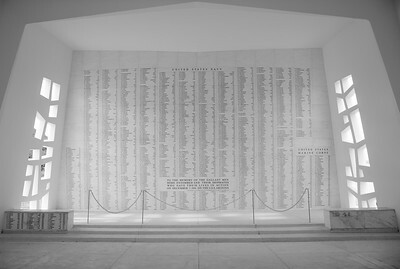 This is the list of all the sailors that went down with the USS Arizona, and those who decided to be interred there later to rest with their brothers. This room is usually full of people, but we were lucky enough to be the last ones off for the day. 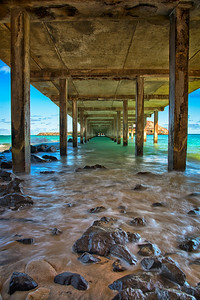 Right below this room lies the remains of the U.S.S. 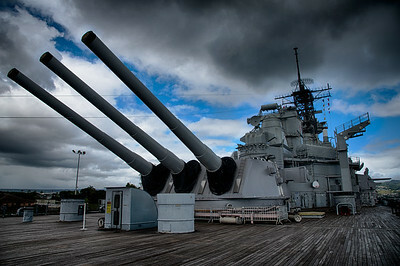 Arizona, which was sunk by the Japanese during the attack on Pearl Harbor. 1,102 sailors are still at rest within the ship. 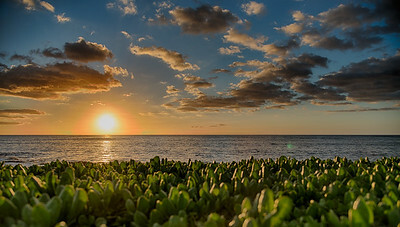 A boogie boarder contemplates his next move right outside of Waikiki, on Magic Island. 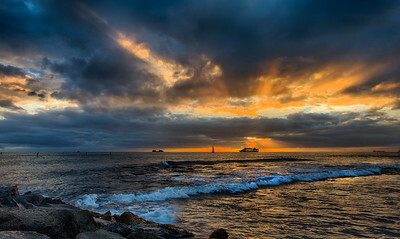 A nightly cruise takes a tour of the surrounding waters around Waikiki just before sunset. 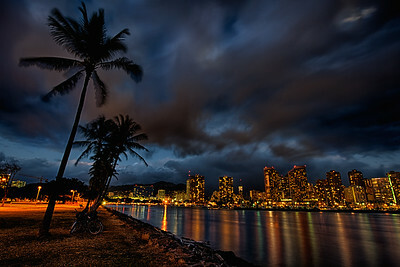 Testing out the wide angle lens I rented on beautiful Downtown Waikiki, shot from Magic Island. 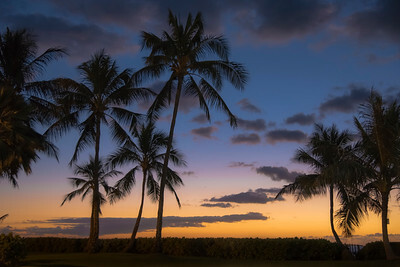 To the right of the buildings, you can see Diamond Head. 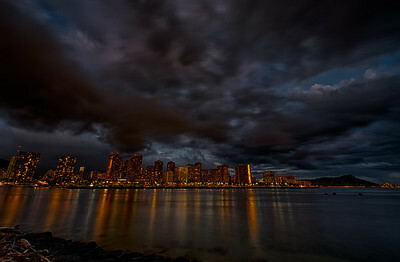 Testing out the wide angle lens I rented on beautiful Downtown Waikiki, shot from Magic Island. 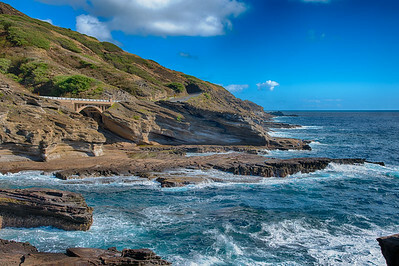 The rock formations at Lanai Lookout on Oahu are amazing. The scenery is gorgeous. 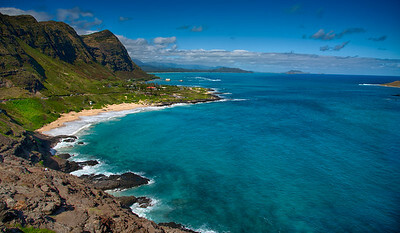 Stunning view from the Makapu'u Lookout on Oahu. 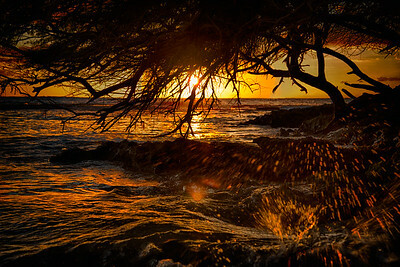 Sometimes, when you combine something man-made with nature, something beautiful happens. 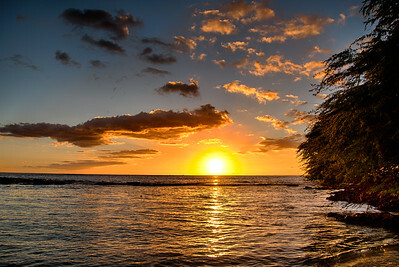 Capturing a perfect sunset is all about location, patience, timing, skill, and most of all - luck. 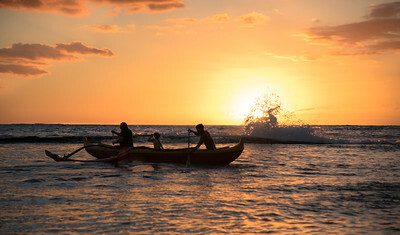 A family takes an outrigger for a spin before the sun sets. 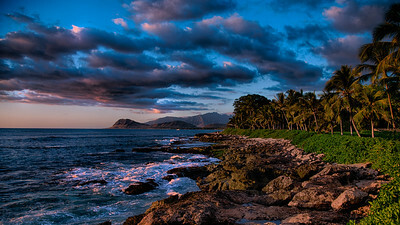 A beautiful sunset view from Paradise Cove on Oahu, Hawaii. 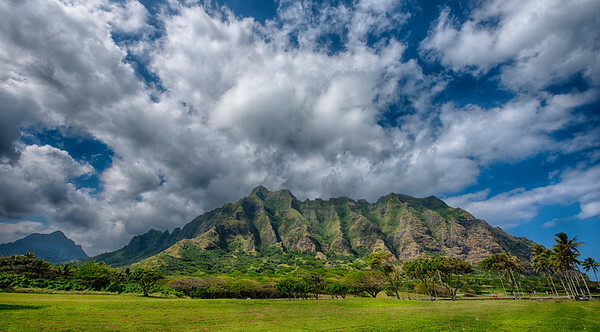 This is the Kualoa Ranch on Oahu, where movies like Jurassic Park and 50 First Dates were filmed. 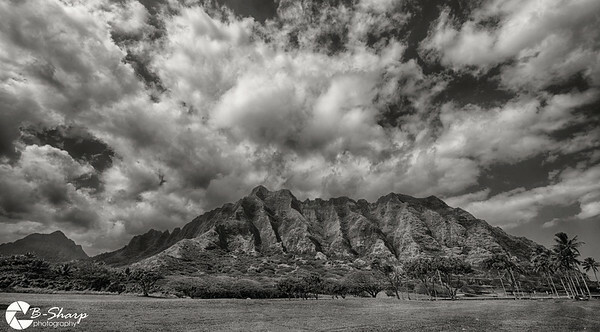 The way the sun and clouds formed on this mountain, it was just begging to be photographed! So gorgeous. 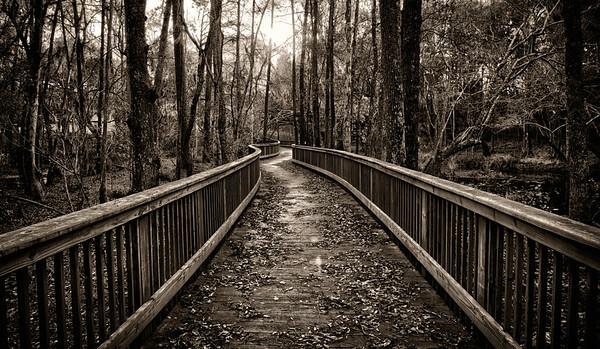 This amazing bridge through the woods and over a swampy pond was the perfect subject for a photo. 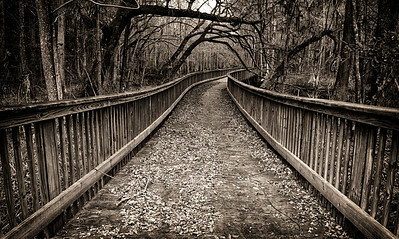 The leaves on the ground, the seclusion and the leading lines... one of my favorite locations. 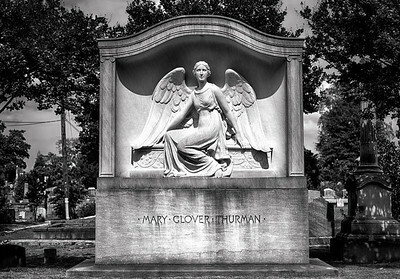 Mary Thurman (died 1916) was named the "Angel of Atlanta" for her gifts of flowers from her garden to patients in Atlanta's hospitals. 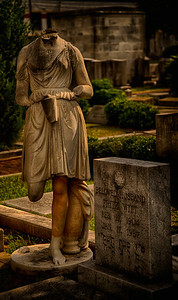 Taken at the Historic Oakland Cemetery in Atlanta, GA. This statue has multiple body parts that have fallen off over time: head, both hands, one leg... I'm sure when it was new it was a beautiful statue, but now it is a haunting image of the reality of our mortality. 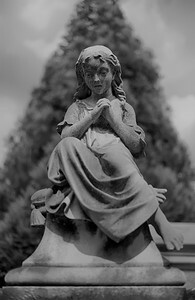 Taken at the Historic Oakland Cemetery in Atlanta, GA.
A solumn statue, praying atop a headstone. Taken at the Historic Oakland Cemetery in Atlanta, GA. 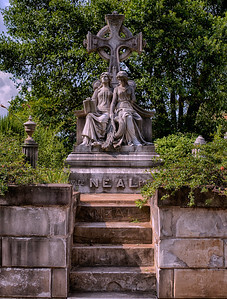 The Neal headstone/statue is one of the most popular at the Oakland Cemetery in Atlanta, GA. There's so much detail and story behind the sculpture. 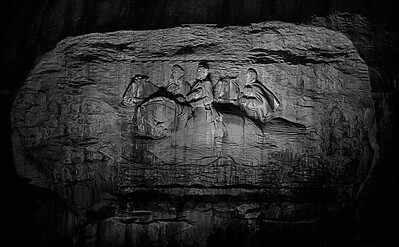 Googling the statue can give you a lot of information on the history of it. I know this type of photography isn't really what sells or what most people want to see, but I just love historic sculptures like this - I wish there were more of them. 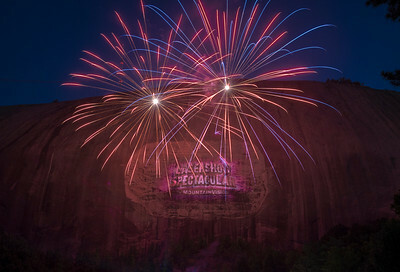 Taken at Historic Oakland Cemetery in Atlanta, GA.
Stone Mountain Park puts on a nightly Lasershow with fireworks and music. It is a really awesome display and fun for the whole family. 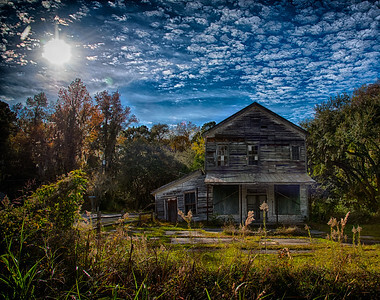 Wormsloe Plantation, located in Savannah, GA. The tabby ruins of the Plantation building is the oldest standing structure in Savannah, dating back to the mid-1700's. It is an historic site that is open to the public. 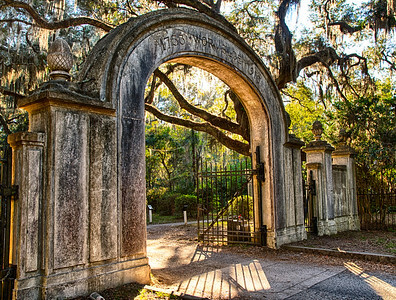 The most famous part is the live oak road, which is right beyond this gate. I have 2 different pictures of this road in my Landscapes album. 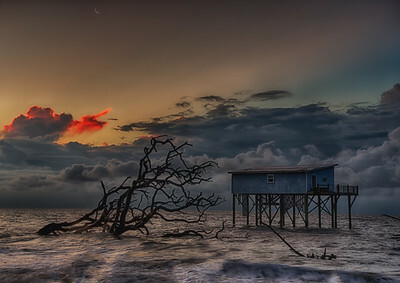 On Hunting Island, there used to be numerous cabins along the beach. Over time, the sea has eaten away at the shore, and destroyed most of those cabins. 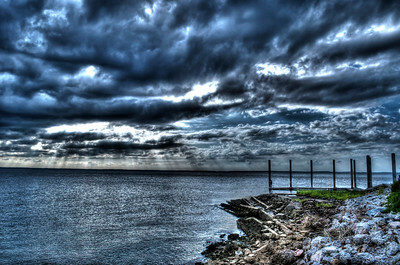 Up until recently, Little Blue was standing alone, surrounded by the relentless waves of the Atlantic Ocean. 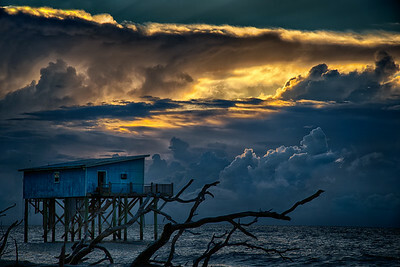 Unfortunately, this "Last Cabin Standing" has since been torn down, but she will live on in pictures, videos, and the memories of those who were blessed enough to see her in person. 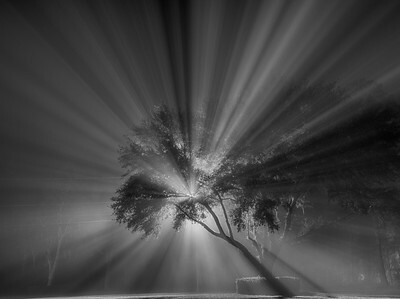 I was driving home from work and saw this tree in the fog. I knew I had to get my camera and come back. 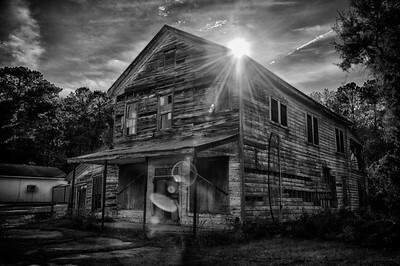 An old abandoned building near an old Post Office in Beaufort, SC. 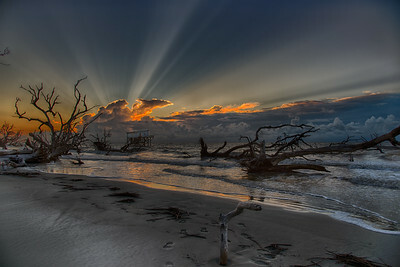 Shoreline view of Harbor River in Beaufort, SC. 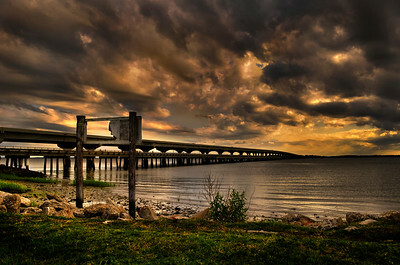 Dramatic shot of the bridge over the Harbor RIver. Last year marked the 75th Anniversary of this attack. I am thankful to have gotten the chance to visit the Arizona Memorial. It was a surreal experience knowing that 1,102 brave sailors were still at rest below the Memorial. I will never forget it.